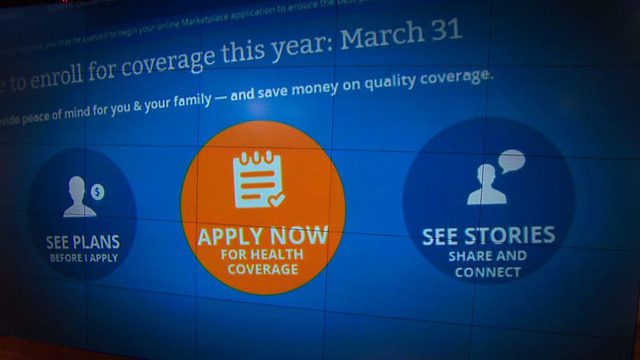 WASHINGTON- People who've started applying for health insurance but aren't able to finish before the March 31 enrollment deadline will get extra time, the Obama administration announced Tuesday. "We are experiencing a surge in demand and are making sure that we will be ready to help consumers who may be in line by the deadline to complete enrollment, either online or over the phone," Health and Human Services spokesman Aaron Albright said. It's unclear how long the extension will last. Some have urged the administration to allow until April 15, the tax filing deadline. People who are due refunds may be willing to put some of that money toward health care premiums. The latest tweak to the health care rollout is certain to infuriate Republican critics of President Barack Obama's signature law. It follows delays of the law's requirements that medium-sized to large employers provide coverage or face fines. The GOP is making repeal of the health care law its rallying cry in the fall congressional elections. The decision to grant extra time was first reported late Tuesday by The Washington Post. The administration's decision affects the 36 states where the federal government is taking the lead on sign-ups. The 14 states running their own websites are likely to follow, since some had been pressing for an extension on account of their own technical problems.